With Dark Side of the Mule, Haynes and company’s faithful recitations do little to breathe life into already tired songs for those new to the Mule. In today’s flagging industry climate, band anniversaries are less a cause for celebration and more about inherent capitalism. From remastered editions and reissues of seminal or even also-ran releases that feature demos, B-sides and live cuts, to over-priced box sets packed with ephemera and often little else of note, it’s refreshing to see American jam band Gov’t Mule take a more fan-friendly approach in honoring their two-decade history. Rather than reissue their self-titled 1995 debut, Gov’t Mule, Warren Haynes, Matt Abts, Jorgen Carlsson and Danny Louis have begun a series of live archival releases that span the group’s vast repertoire showcased through their live performances. The first being the band’s take on the canon of Pink Floyd. Performing at Boston’s Orpheum Theatre on Halloween 2008, the evening’s three-hour performance consisted of an opening set of Mule originals and songs Haynes co-wrote with Dickey Betts during his tenure in the Allman Brothers Band followed by a second set of Pink Floyd covers, dubbed Dark Side of the Mule. Early selections from the 12 songs that comprise this second set packaged as a lone release are drawn from 1971’s Meddle, 1975’s Wish You Were Here and 1977’s Animals before giving way to the six-song run of tracks that open 1973’s The Dark Side of the Moon. Instrumentals such as "One of These Days" and "The Great Gig in the Sky" extoll Gov’t Mule’s musical dexterity and instrumental acumen. "Time" serves as a showcase for the rhythm section of drummer Abts and bassist Carlsson, the latter’s live tenure with the band having begun the night before at the outset of their "Kinder Revolution" tour. Without taking many liberties with the source material — even former Pink Floyd backing vocalists Machan Taylor and Durga McBroom were part of the festivities — Gov’t Mule’s electrified version of "Fearless" strips away the pastoral nature of Floyd’s largely acoustic recording. Haynes's venomous delivery on "Shine On You Crazy Diamond (Parts 1-5)" teeters the original’s tribute to Syd Barrett into a near-rebuke of the founding member’s mental downslide. Their presentations of "Have a Cigar" and "Money" serve as reminders of Pink Floyd’s early blues beginnings and David Gilmour’s guitar leanings, often overlooked in the band’s psychedelic lore. The unhurried menace of "Comfortably Numb” brings the late Richard Wright’s organ parts to the fore courtesy of Mule pianist Louis. 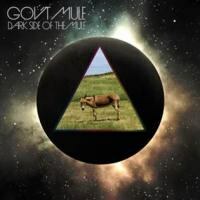 While not note-for-note perfect (instruments in different tunings; Haynes's limited vocal range on "Comfortably Numb" and lack of a British accent on "Time"), Dark Side of the Mule is almost too flawless in its execution. Gov’t Mule’s improvisational skills are pocketed, their rendering of Floyd classics lacking the imagination shown by the likes of the Flaming Lips who expanded Dark Side of the Moon’s original template into a soundtrack of cosmic dystopia, and Primus whose rumbling take on "Have a Cigar" (from 1992’s Miscellaneous Debris EP) lent the song an edge of agitation missing here, even with the added horn section. As a whole, the planned series of releases should play well with Mule devotees given the palpable fan participation heard throughout Dark Side of the Mule. The just-released Sco-Mule, 1999’s instrumental collaboration with jazz guitarist John Scofield that serves as the second of this year’s memorial releases, better highlights Gov’t Mule’s improvisational nature, its many-faceted history and eclectic catalog of live performances. With Dark Side of the Mule, Haynes and company’s faithful recitations do little to breathe life into already tired songs for those new to the Mule.